The fast version of Cream Caramel has a short flowering time of 7 weeks, yields up to 450-600g/m² when grown indoors, and up to 500-800g/plant outdoors. This 90% Indica produces exorbitantly high levels of THC and sufficient amounts of CBD to ensure a relaxing, almost narcotic effect. Aromas are very sweet and creamy, but also enriched with earthy tones of the Blue family. The award-winning classic Cream Caramel is a 90% Indica that takes much of its genetics directly from the Blue family. 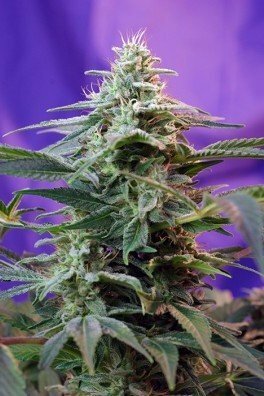 This new F1 Fast Version is the result of the crossing the Cream Caramel with an F3 autoflowering hybrid of the same variety. The result is an extraordinarily fast F1 photoperiod strain. As with any Blue family member, you should expect lusciously tinted buds with hues that lean towards the reddish/purple/pink/blue end of the spectrum. These traits typically tend to become more pronounced the more the cold autumn temperatures trigger these phenotypes. 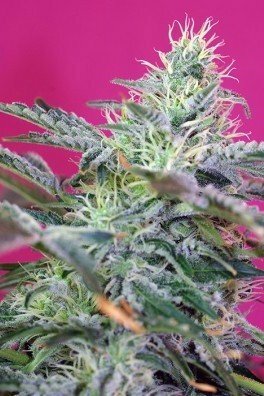 You can expect a fully mature plant in just 7 weeks (49 days) while retaining exceptionally high yields, ranging from 450-600g/m² indoors. If grown outdoors, set your calendar alerts for September and be ready to harvest around 500-800g/plant. 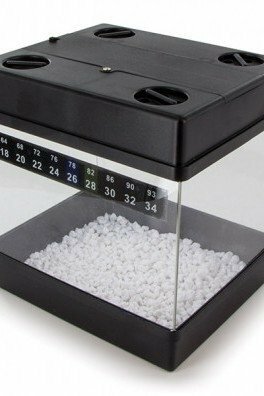 This is faster than many autoflowers out there! Growing this strain poses no significant challenge. 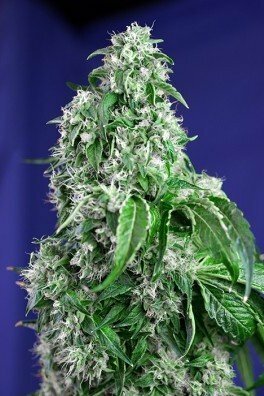 It will grow into a classic indica bush type structure and expect a medium height plant with compact internodes. 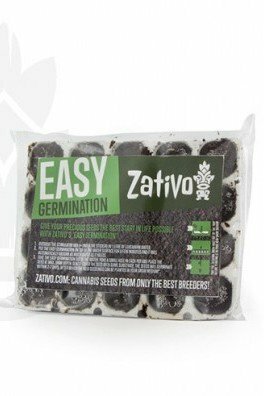 The seeds are feminized to take care of your selection troubles. 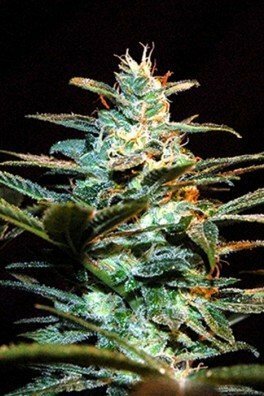 Cream Caramel is known for its extraordinarily high trichome production. So you should expect Cream Caramel F1 Fast Version to have equally high amounts of taste and effects from the smoke. THC levels will easily compete against the strongest strains out there. 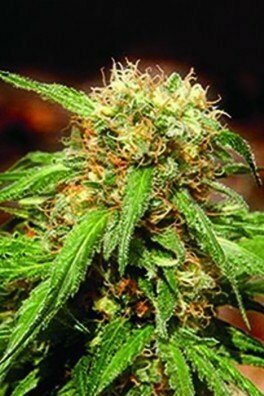 As with any typical indica-dominant strain, its relaxing and soothing effects are notable. Those who suffer from insomnia will surely appreciate this strain, as it not only reduces stress but also prepares you for sleep. For those seeking more medicinal properties, this variety is known to be quite useful for relieving pain. 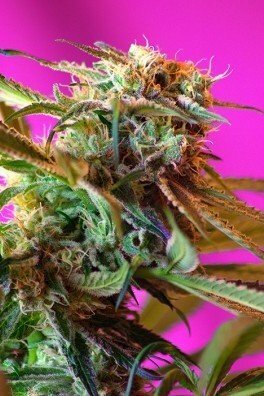 Taste wise, as the name itself implies, an intense sweetness will present itself, especially if the buds are allowed to cure for some time. The "caramel" implies that it is not harsh to smoke. On the contrary, to some degree the sweet, creamy combination of flavors could even be slightly misleading as you inhale; don’t be surprised if you start feeling that strong hit kick in as you exhale!